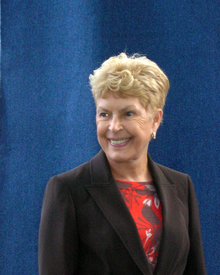 Over the weekend, Ruth Rendell passed away. What very sad news for the world of great mystery-writing. For the last half century, she has given us many great works of fiction. I have long considered her one of my very favorite mystery authors, and am so grateful to her for the many hours of mystery-reading enjoyment she has given me and others around the world. In 1990, the British Crime Writer’s Association compiled a list of the top 100 crime novels of all time. Two of Ruth Rendell’s novels were on that list: A Demon in My View and Judgement in Stone. Five years later, the Mystery Writers of America compiled a list of the top 100 novels of all time, and Ruth Rendell’s A Judgement in Stone was on that list. I am partial to her Inspector Wexford mysteries, however I read (and enjoy!) both her stand alone novels written as Barbara Vine, as well as Ruth Rendell. The world of mystery books has lost one of its finest authors. Here is an article on the BBC site with more information about Ruth Rendell. I am sad Ruth Rendell died over the weekend, although I knew she wasn’t well. Her books have given me so much pleasure over the years and I will miss looking out for her new books in the future. The adaptations of her books on T.V. were always immaculately done. Val, I hadn’t thought about “I will miss looking out for her new books in the future” >>> I totally agree. Hanna, her Barbara Vine psychological thrillers are just that! They sure aren’t the types of books I can read while trying to fall asleep! Yvonne, I absolutely love her books. I agree about her being one of today’s greatest authors.